President Donald Trump has been in office for almost two years. He has a proven track record now and we know what he is about as far as his work and results are concerned. He’s a hard working, resilient, tough guy. President Trump believes no one can effectively compete against American labor, management or capital if the competition is conducted on a level field. He believes the US has ceded advantage to our foreign competitors by way of unbalanced tariff structures and our tolerance for predatory trade practices. He is an accomplished negotiator and well understands that the nation holding the strongest hand should never negotiate simultaneously with multiple competitors. The US, as the world’s dominant economy, will always be best served by negotiating and striking deals with other countries individually. So the President insists on restructuring existing multilateral trade deals with bilateral agreements. He has deals now with Mexico and Canada to replace Nafta and is close to deals with the EU, Japan and others. China is a special and particularly difficult case. The US promoted China’s membership in the World Trading Organization and has looked the other way while China has engaged in unlawful theft of our intellectual property and forced technology transfers. The President is adamant about China changing its practices. The President is also firm on reducing or eliminating tariffs. He knows tariffs are nothing more than sales taxes and consumers and American workers will be best served in a tariff-free world. On trade and tariffs the President is direct and often confrontational. He believes trade practices that are unfair to the US eventually become entitlements to the nations they benefit. He knows well that entitlements do not get reduced or eliminated without controversy and the President’s initiatives have generated plenty of that at home and abroad. The President also knows that the commercial interests of the U.S. and her allies are global and need to be protected. He has been effective in reinvesting in and restoring our military. This is particularly important with China using its commercial success to fund an expanding military presence in the Asia Pacific region and beyond. While increasing sanctions against North Korea Mr. Trump has taken a firm position against that rogue regime’s ability to expand and project its nuclear weapons. Mr. Trump’s demands have teeth being backed up by an ever strengthening US military. While taking a strong stand with North Korea he has initiated talks with its leadership resulting in cessation of nuclear and ballistic missile testing and release of US prisoners and the transfer of the remains of US soldiers killed in the Korean War. The President has publicly and repeatedly confronted our European allies insisting they meet their NATO treaty obligations. Those allies have now pledged an additional $30 billion to NATO for their own defense. The President boldly and publicly asks why Germany’s defense should be paid for by US citizens while Russia, the very country we are protecting them from, profits from the sale of energy to Germany. That, while the US enjoys a surfeit of energy that could be sold to Germany. The President has also achieved US energy independence by promoting additional exploration and production and approved new pipelines to transport all the new product. He has helped make the US the largest producer of energy fulfilling our country’s objective of achieving energy independence and eliminating US dependence on Mideast oil. Having done that, the President has restored our relationship with Israel and finally and proudly fulfilled his predecessors’ commitment to move the U.S. embassy to Jerusalem. In foreign policy the President has made clear that foreign aid must be earned. Our foreign aid is no longer just another entitlement. Nations receiving aid must be supportive of US foreign policy and aid will stop if recipient countries support interests contrary to those of the US. 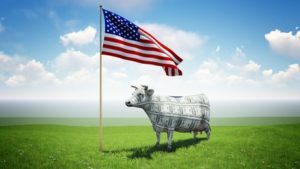 Thanks to President Trump American companies are becoming cash cows. Domestically, the President has increased corporate competitiveness by eliminating prior Administrations’ water boarding of US companies by increasingly restrictive regulations. He has reduced corporate taxes to make American companies more competitive in world markets. He has also reduced taxes on foreign profits stranded overseas so as to repatriate trillions of dollars in capital for domestic investment. His domestic economic initiatives have contributed to the lowest unemployment rates in modern times, the lowest unemployment among minorities on record and more than a 50% increase in our economic growth rate compared to the prior administration. With a resurgent corporate sector there has been a more than 40% increase in the stock market since his election. 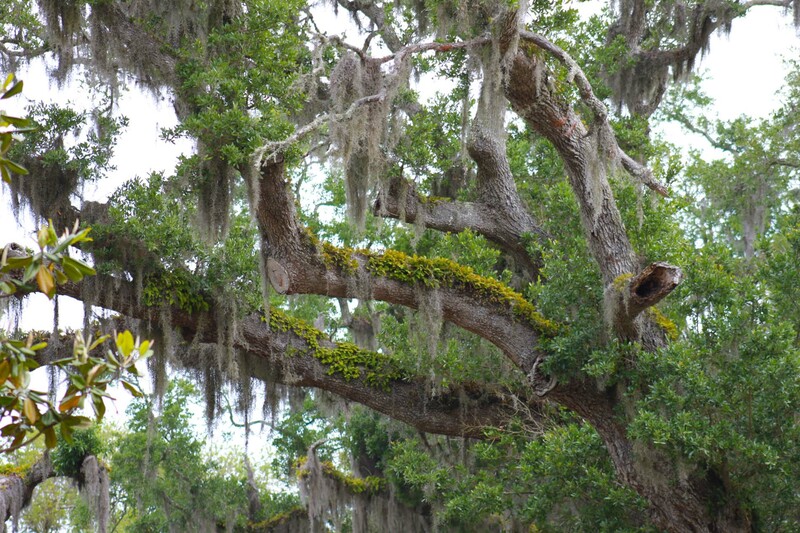 Consider the extraordinary effect that has had for taxpayers in reducing the unfunded liabilities for local governments’ public pension plans. Then consider a recent Forbes article that estimates the decline in Trump’s wealth since taking office has been about $1 billion or 25% of his total. Consider further the fact he donates his salary to charities and we can only imagine what his legal bills have been like as a result of what he calls the Witch Hunt. Trump has consistently appointed strict constructionists to the Federal bench including two to the Supreme Court. Our economy enjoys an enormous advantage in world markets because of our strong and dependable rule of law. Our constitutional system depends on our elected representatives managing our laws for the benefit of the electorate. If new laws are required by our people then it is the job of their elected representatives to design and implement those laws. An activist, unelected judiciary passing laws creates uncertainty and undermines confidence in our rule of law. President Trump has withdrawn the US from the onerous, expensive and ineffective Paris climate accord and reinstated strong trade sanctions on Iran destabilizing that regime. He has terminated the Iranian nuclear deal which would have permitted that largest state sponsor of terrorism to acquire nuclear weapons in about another decade. Our President has been a busy fellow and the American economy and our security are better for it. We now have an unapologetic President who understands that “the business of America is business” and knows how to implement that value. 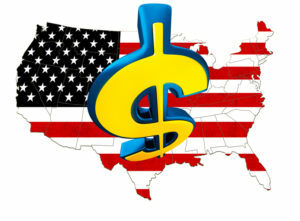 In a world of generally modest economic growth the US economy and its workers are flourishing. America is back projecting its leadership among the nations of the free world. One final note I find fascinating. Remember when the President’s critics, citing his wealth, groused that his objective in running for President was to promote his own brand and increase his wealth? It was all about his conflicts of interest and violations of the emoluments clause. Trump is indeed our wealthiest President. Our second most wealthy President was also a real estate guy. In fact, he died owning 57,000 acres or 81 square miles. He controlled a number of businesses and weekly communicated instructions from his Presidential office on their operations to his managers. He even presided over the location of the new nation’s capital city near his major real estate holdings and the naming of the new capital after himself. Talk about conflicts of interest! 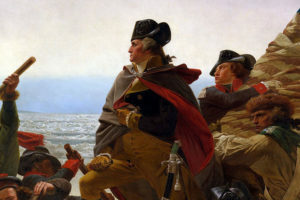 You guessed it, the second richest President was George Washington; “first in war, first in peace and first in the hearts of his countrymen”. I know, Mr. Trump is not George Washington, but he is a man with a plan who is achieving very positive and tangible results for our country. He deserves a whole lot more credit than he gets. “Who says there’s no good news? Word has likely reached alert TAS readers by now that the infamous Brenda Snipes, whose Broward County elections office under her non-direction couldn’t count the house in a phone booth. Jumped before being pushed. So incoming Florida Governor Ron DeSantis can now put something else at the top of his to-do-as-soon-as-I’m-in-office list. She’ll pass the torch if she can find it. Speaking Of High School Classmates: Last Father’s Day my wife, Linda, who knew I was a friend of Stephen Stills at Tampa’s Plant High School, gifted me tickets to the Stephen Stills-Judy Collins Monday, November 19 concert at the Florida Theater in Jacksonville. 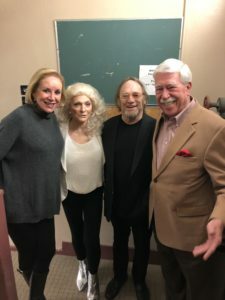 Prior to the concert I contacted another old friend, Mike Garcia, who had been Cosby, Stills and Nash’s road manager for a number of years, and he arranged a meeting with me, Linda and Judy Collins on Steve’s bus and then backstage. Steve and I enjoyed reminiscing about old high school hangouts and Ms. Collins couldn’t have been more charming and conversational. It’s worthwhile staying in touch with old friends. The ABCs: I was in a bar the other night night when a waitress screamed: “Does anybody here know CPR?” I said: “Heck, I know the entire alphabet.” Everyone laughed….well, except this one guy. Just Asking: This Thanksgiving how many local liberals out there opted for a rescue turkey instead of a disgusting tofurkey or one of those domestic turkeys found in supermarkets that have been cruelly bred in factory farms or turkey mills with little regard for their wellbeing. I’m assuming that during yesterday ‘s Thanksgiving feast at least a few local Amelia Island liberals found room in their bleeding hearts for one of these wonderful shelter birds in their nice, warm ovens. If you didn’t think about it at Thanksgiving it’s not too late to contact the local Humane Society as Christmas is just around the corner. So, why settle for a revolting tofurkey when you can bring home a Christmas rescue goose or gobbler from the local shelter and let them share your cozy, warm oven? Singer-song writer Woody Mullis in the Listening Room. 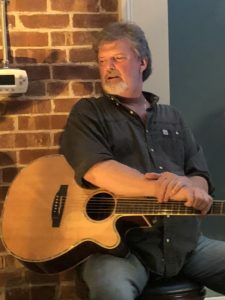 Drinking, Dining & Dancing: Amelia Island native, local resident and Nashville songwriter Woody Mullis headlines what promises to be a fun and entertaining show during an acoustic concert at the PJD’s Beer & Wine Garden Listening Room, Thursday, 7-9 p.m., December 20. There are only 30 seats in this intimate setting and they will go fast at $15 a pop. Woody wrote the number one hit “Darlene” and has also written songs for Kenny Chesney, Montgomery Gentry, George Strait, The Oakridge Boys, Tracy Bird, Neal McCoy, George Jones, Sawyer Brown and T. Graham Brown among others. Salt Life at Main Beach, 17 North Fletcher Ave., opened earlier this week to an enthusiastic crowd and from what I saw it will be one of the most popular places on the island to enjoy beautiful views of the ocean and reasonably priced food and beverages. The new eatery and bar features an upstairs with an ocean vista, a large U-shaped bar, ample table seating, and a fire pit. Downstairs is the same without the view but a small stage for live music. Folks looking for a restaurant that features seafood then this is it as it is a seafood restaurant. The menu is loaded with a variety of reasonably priced ocean critters ranging from oysters and shrimp to a variety of fish snacks, salads and dinners including, a beach boil, crab boil, and sushi among many others. Guests can also order burgers and tacos and a few chicken selections. Happy hours are 3:30-6:30 daily and Tuesday’s feature special priced menu items. Salt Life has two other locations in Jacksonville Beach and St. Augustine. The only problem I foresee is parking once the weather gets hot and the beach-front Sandbar and Salt Life drinkers and diners all scuffle for spaces with the beach crowd. Call ’em at 904/310-9415. I just wish everyone would just leave me out of this. Very troubling that negative reader comments did not address elements in the very well-crafted piece by Pat Keogh (Thank You Mr. Keogh), but centered on your brief encounter with Stills. Since their Winterland days, CSN have been counter-culture proponents and continue to be as evidenced by their recent fund-raising activities for Bernie and Chelsea Manning. So, what? The current thought is that talent and success bring the ability to opine and solve society’s problems. Maybe, maybe not. Also, very funny to see the number of individuals who repeatedly complain in all-encompassing generalizations that it is an “ignorant, hate-filled blog”, but obviously continue to read it, because their curiosity is greater than their disgust. What’s that all about? Oh, I forgot, it is all about the restaurant reviews. Ignorant? No. Well-researched, actually. Hate-filled? Not really. Dave is no Don Rickles, and he may go a bit overboard with the name calling, but I see dislike of specific people based on their specific words or specific actions, not hatred. A strong dislike for someone or something is not automatically hatred. A strong dislike for certain political concepts does not constitute "hatred". Why do the complainers continue to read the blog? To paraphrase Howard Stearn's movie, "Private Parts", they want to see what he'll say next. It continues to astonish me how much liberals hate facts. They hate reading them, and they certainly hate refuting them. In fact the only "facts" they seems to like are the ones they make up. Like Peg's new fact about how our forefathers set up the country with 2 parties. Classic! Actually Peg the forefathers did not set up a country with two parties. They evolved. They are not mentioned in any of the founding documents. In point of fact, in his farewell address, Washington cautioned against the move to a two party system as he was greatly concerned "they would grow seeking more power than other groups to the detriment of the people. Washington was aware that other governments viewed political parties as destructive because of the temptation to manifest and retain power, but also because they would often seek to extract revenge on political opponents." (Dennis Jamison, washington times , Dec 31, 2014). IMO, Washington was our greatest president. Many of his observations and suggestions have been tested and found to be prescient. Dave, would you please note which comments on your blog are hateful so I may locate them. Maybe you could post them in italics or in different color text. Hey, Dave...I'm a big Peg Dickinson fan now. She offers you some very smart advice. Let's hope, of course, you're not too old to learn from it. Yeah, Stills looked absolutely thrilled. “David Crosby said despite negative feelings between him and former bandmates Stephen Stills, Graham Nash and Neil Young, the band could still reunite over their shared hatred for Donald Trump” Ultimate Classic Rock; February 7, 2018 Great optics, Dave. Dave, I'm enjoying your blog. I'm a long time Stephen Stills fan from the first CSN album. Seems that we can appreciate good music regardless of what the artist's political views are....some folks can't see the 1st ammendment is a 2 way street. Keep up the history lessons and showing the reasonableness of Conservative thought. There is liberty and prosperity out there for anyone who will champion good will towards all. Dave , I have read your blog from the beginning and while I like all your info about the island and the local restaurants and happenings I am sorry to say I skip the first 2/3's of your blog . In these times of so much hate and name calling do you have to make every column full of your dislike of Dems and anyone else who doesn't think like you? How about for this season of peace and joy could you try to find a compromise for a week or two and maybe have a conversation with someone who doesn't think Trump is a god and find out why, no name calling, no hate filled comments, just a back and forth with facts gleaned from more then Fox and CNN..... We all need a little more understanding why our forefathers set up our country with freedom of speech and two parties, and less spite. I think maybe Anne (no last name) should find reading sources other than your blog. She'll be happier. If Stills and Collins had ever read your ignorant, hate-filled blog, they surely would not have spent 10 seconds with you. Hi Dave: I was introduced to you about a month ago. I am pleased that I gave you my contact info, as I enjoy reading your blog each week. I share most of your views and always learn something from your writing. Well done and thanks. 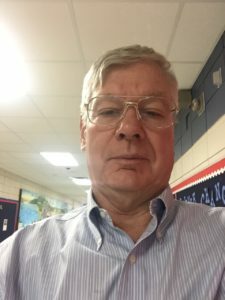 Great article by Pat. it's really sad that we can't get factual information from our so-called independent media that blather on with their opinion, speculation, and 90+% negative focus.